As the calf becomes more adventurous, its mother will pick it up when it stumbles, carry it over obstacles and protect it from danger. Under the belly of its mother, a tiny elephant calf is safe from predators and the scorching sun. As a human mother washes her baby, so does an elephant mother, sprinkling her calf with water and then scrubbing it gently with its trunk. And as a mother holds hands with an infant, so the cow elephant steers her calf by grasping its tail with her trunk, and when the calf follows, it holds its mother’s tail in its trunk. A calf stays under the close watch of the mother elephant for several years, and begins moving towards independence after four years. A young elephant reaches adulthood at the age of 20, and the bond between mother and daughter can last more than 50 years. Zoo keepers and those who work with elephants tell of their great capacity to care and to show affection to their young. They have a strong sense of family and scientists believe that elephants understand the concept of death. Researchers have described mother elephants mourning the death of a calf and circling a dead companion. 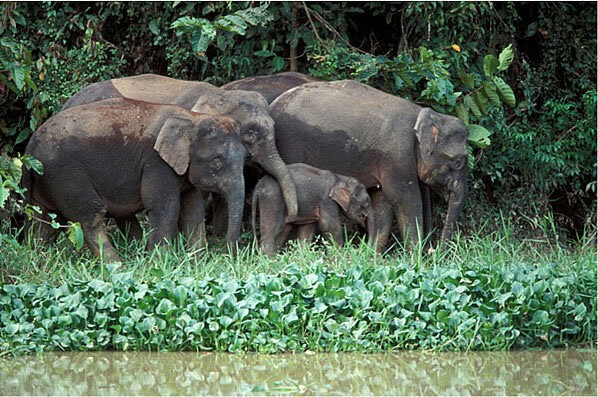 World Land Trust has projects that benefit elephants in India and Malaysian Borneo. By purchasing land to protect elephants’ traditional migratory routes in both these countries, WLT helps keep elephants safe. On UK Mother’s Day on 30 March 2014, show your affection for your mother with a gift donation to a WLT project that protects elephants. WLT is working with Wildlife Trust of India in different parts of India to secure safe passage for Indian (Asian) Elephants and other threatened species away from humans. WLT has helped safeguard two priority corridors – Siju-Rewak Corridor in Meghalaya, and Tirunelli-Kudrakote Corridor in Kerala. WLT is now supporting the protection of two more corridors: one in Uttarakhand in northern India, and the other in Meghalaya. To support WLT’s Indian Elephant Corridor Appeal, make a gift donation to the Action Fund and put Indian Elephant Corridor in the comments box. Kinabatangan is home to the Bornean Pygmy Elephant. © HUTAN. The Rainforest of Malaysian Borneo is home to the Bornean Pygmy Elephant. There are more than 74,000 acres (30,000 hectares) of forest under protection in the Lower Kinabatangan floodplain, but these reserves are fragmented and under threat from the expansion of oil palm production. WLT is raising funds for strategic land purchases in Borneo and has already secured two important corridors, the Kretam-Kulamba Corridor and a 222 acre corridor in the Kinabatangan Floodplain. Working with project partner Hutan, WLT is now focusing on the Keruak Corridor, which will link a part of the Lower Kinabatangan Wildlife Sanctuary to the Keruak Forest Reserve and greatly increase the area through which elephants can roam safely. 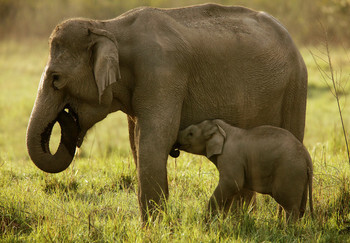 You can make a Mother’s Day Gift Donation to either the Indian Elephant Corridor Appeal or the Borneo Rainforest Appeal. 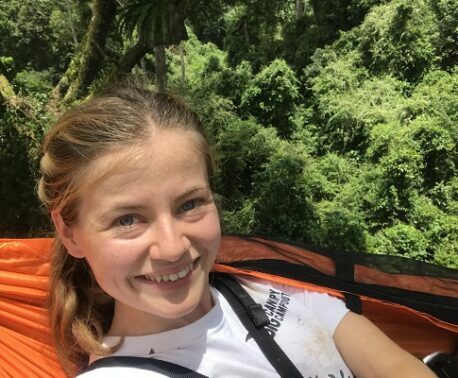 When completing the donation form remember to select Mother’s Day as the occasion of the gift and, when the form asks where you wish to direct your support, select Action Fund to protect Indian (Asian) Elephants or Borneo Rainforest Appeal to protect Bornean Elephants. You can choose between a printed Certificate or an electronic (PDF) version, which will be personally prepared and sent within five working days. If in PDF format, the Certificate will be sent by email to you (please note we cannot send PDF Certificates directly to gift recipients). The last order date for Mother’s Day gift donations to be sent by email is 28 March 2014. If in printed form, you can choose to have the Certificate sent to you or direct to the gift recipient. Allowing for postage times, the last order date for Mother’s Day gift donations to be mailed is 27 March 2014. The Certificate is included in a WLT Gift Pack, which contains more information about WLT and the appeal that you have donated to.